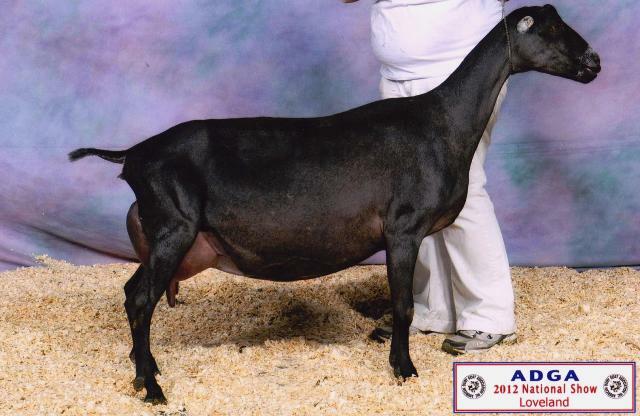 We really liked the overall cross between Yellobird and Beam Me Up - we have decided to retain one of the buck kids and will used him in 2012. 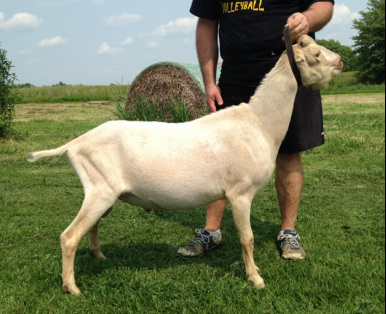 We like his doe kids in 2013, and plan on using him extensively in the fall. 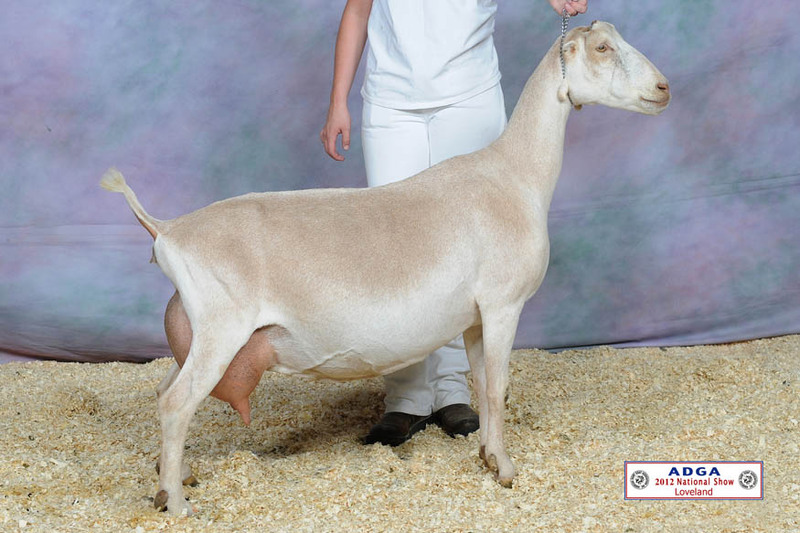 As soon as we saw that a Barnowl doe was being bred to Tempo Desani, we jumped right on this breeding. 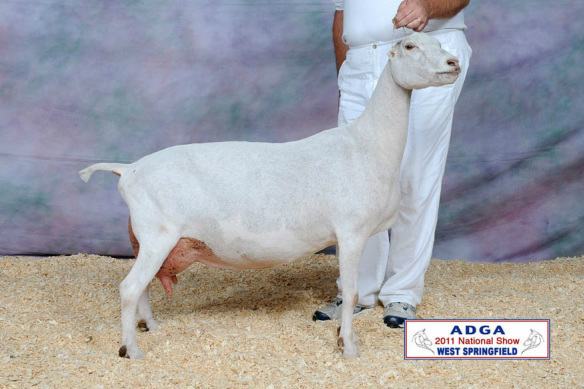 Having two National champions on just one side of the pedigree is impressive, but having a THIRD National Champion on the dam's side got us excited to use this buck. 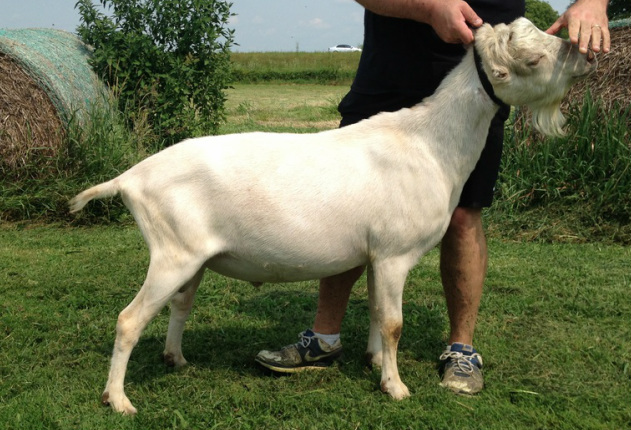 Alabaster is a very long and level buck, and we love his depth of body and his width throughout. We plan on using him heavily this fall.